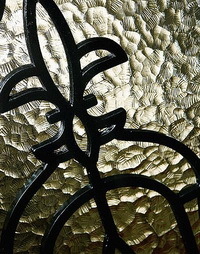 Wrought iron scrolling and textured glass will add Old World charm to your home's entry door. Whether your architectural style is Spanish, Rustic, or Southwestern, Jacinto will bring an authentic design touch to your entryway. It offers a high level of privacy.